Our Hall of Fame was launched in November 2007 as part of the Annual National Athletics Awards. This award is presented to an athlete who has achieved to the highest level and is considered world class. The inaugural winner was Olympic Gold medallist Ronnie Delaney. 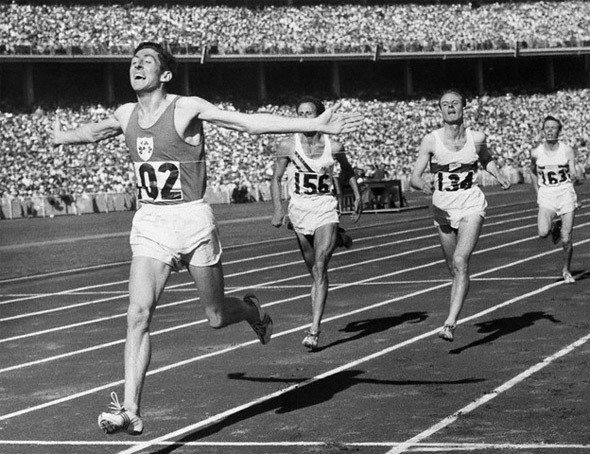 In Melbourne in 1956, Delany fulfilled his ultimate ambition winning the 1500m at the Olympic Games. His Olympic victory remains one of the greatest of Irish sporting achievements. In 2008 Eamonn Coghlan was inducted into the Hall of Fame. It came 25 years after Eamonn Coghlan’s finest hour that in Helsinki when he took the IAAF World Championship 5,000 metres title - a landmark achievement in Irish athletics. In 2009 John Treacy was inducted into the Hall of Fame on the 25th anniversary of his Marathon silver medal in the 1984 Los Angeles Olympics’ Marathon and the 30th anniversary of him retaining his World Cross Country title in 1979. 2014 saw Frank Murphy (RIP) admitted into the Hall of Fame. This came on the 45th anniversary of his greatest International success winning the silver medal in the 1500m Final at the 1969 European Athletics Championships in Athens in a time of 3.39.51, a new Irish Record. In 2015 Frank O'Mara was honored in the Hall of Fame. O'Mara made his name as a top class middle distance runner specialising in the 1500m, 3000m and 5,000m. He became World Indoor Champion over 3000m twice, in Indianapolis in 1987 and Seville in 1991. In 2016 Marcus O'Sullivan as inducted into the Hall of Fame. Marcus is three time World Indoor 1500m Indoor Champion, winning these titles in 1987, 1989 and 1993. In his victories in 1987 and 1989, Marcus set championship records and qualified for four Olympic Games.